Yesterday at the German Embassy in Tehran, I pleaded with almost everyone from the doorman to the officer for a chance to visit Berlin. The hardest part was to explain, or argue, why attending a curatorial workshop can be a valid reason for traveling to Europe from the greater outdoors. I had to talk them through the makeshift itinerary of the trip, lay out all the plans and project an image of all I might end up doing then and there. The officer had a hard time, albeit righteously, figuring out what curating is, let alone understanding the inner dynamics of the art world and its logic of intercontinental flights. Anyway, it took me hours. In the evening, I had reached the page 41 in Pak Sheung-Chuen’s book of works Odd One In II: Invisible Travel. On August 3, 2006, the artist made contour drawings of every single one of the 122 leaves of a sapling in Berlin on 72 separate sheets of paper only to bring the corpus back to that spot exactly ten years later and burn them all at the feet of the grown tree. “This artwork is about future memory,” wrote Sheung-Chuen. During those ten years, To Draw a Tree existed in the format of a black and white photograph of the small tree as was seen in 2006, along with the drawings loosely hanging on a wall in an exhibition setting or stacked in a box when off display. “A tree is drawn… The tree is brought to life in the breeze.” By the time I’m writing this post, the future of the drawn tree is supposed to be my immediately recent past; as the breeze must have already spread the ashes in unknown distances from where the tree stands in Berlin, its life is to have come to an end, perfectly merged in a memory that had been envisioned. To Draw a Tree is to propose a parallel lifetime, particularly by targeting an overdetermined death. It mimes a living creature, a nonhuman, through a set of rules holding together a shivering grid of atomized accounts. Its internal affairs flip the usual tendency toward ephemerality on its head: A set of actions or a cluster of things are not only thrown into the face of inevitable temporal fatality, ready to give up whenever they have to—whenever the ice has totally melted down, when the exhibition is over, etc. They exist and take place only because of, and in direct relation to, this fatality. Future is taken for granted and the present is acted upon therefrom. To counter Lacan’s assertion, and although “death belongs to the realm of faith,” but it also happens to be more of a solid base than life itself on which an artwork lives—probably because there are lives, that of a tree for example, for which not as equally as we bear in life should be borne. However, proposals are by now a vernacular for those who speak the beta language of contemporary art 2.0, particularly when a drive to intervene beyond art’s own naturalized habitat is fully acknowledged. An artwork or project, a solo presentation or biennial, a seminar, panel discussion or publication, all can happen to have been made or performed in order to “propose” something, to distance from mere criticism and to willfully step beyond the boundaries of their surrounding conditions, oppose having been destined to them and extend our current grounds to those of the future, one that is to be different, mostly for good. This has long been the language of every typical architectural practice, though. Architecture as a discipline is in charge of the task of envisioning sceneries of the future, which have been changed, in the course of centuries, in and out of drifting relationships with instrumentalization and functionality. Even if an architectural proposal has not been to serve a certain need or demand, it has by principle been oriented toward the extents of technical possibility or has set to modify existing approaches and orientations. It is to throw a spotlight in a reachable distance, one which is to take us forward, step by step. And there seem to have been only certain spots in certain distances that could have brought us progress, down the road we’ve been directed. This superimposed form of complicity—i.e., horizontally fighting against and simultaneously serving a vertically overarching regime—is doubled, or better epitomized, in the back and forth, the push and pull of realization. It is ordered by a system of supply and demand that always produces (hence the pull of proposals) and absorbs (via competition; the complicit rivalry) an excess (all that is left behind by the finalist; deliberately remaining distanced from the reality). The propositional logic functions as an integral part of an apparatus for the production of categoric conflicts, a machine that maintains and nurtures tension. All the alternatives to the real, whether to be realized, abstained or declined to be realized, help the authority of the real to mark areas it can softly reach and actually contain, without losing hold of reality and thus becoming unreal. The power of the ruling real is that of a soft, liquified authority, which doesn’t even need a map of movement to find ways for releasing its tendency toward expansion; the real is real as long as it holds potentials that maintain movements within. The immanence of the real feeds off projections of the unreal while acting upon their contingencies via regimes of mediation moderating a correlation that renders any choice of going for the third pill actually redundant. “Not the reality behind illusion but the reality in illusion itself,” as Žižek puts it, is already conceived as a coordinate of the malleable field of the ruling reality. Nothing is “too traumatic, too violent or even too filled in with enjoyment” to “shatter the coordinates of reality,” yet we have to keep on fictionalizing inevitably within the expanding spectrum of the preemptive rule of reality. The third line of breakthrough in the dilemma of authoritarian real vis-à-vis the alternative projection simply falls into the ongoing vicious game of producing an excess of alternatives that are all contingently preempted and will finally fold back onto an expanded field of the ruling reality. Therefore, every proposal or propositional utterance can be well claimed to have a reality, a life, of its own. Precisely because the rule of reality has softly naturalized every act of proposing, letting every proposal live a life in its own natural realm of being. Proposals don’t need to get “realized” or “actualized” to have a share of reality, they are already a part of it once they are proposed. The life that proposals live is exactly the opposite of a bare life—though excluded from the actual extents of naturalized reality, they are softly included in it by having been given the biopower of ruling over all that lies on the other side of actuality, and it’s hard to tell where that ends. The reality of competition-driven realizations, which sets to frustrate all clusivity distinctions and makes it hard to tell which we we’re talking about, by and large, runs on a growing plethora of projections that not only have to nevertheless get refused from being realized but do also get absorbed into reality through that very refusal and in their very unrealized state of being. Contemporary art is complicit in developing this expanding rule of reality, and in bringing alterity into a systemic deadlock precisely by naturalizing it in abundance. Contemporary art is obsessed with glorifying potentials and emanating possibilities, through which the phantom of proposals can fly most fittingly. Here’s a comfort zone for thinking big, for constantly taking a willing pose that merely points to the beyond of the present, simply because there’s no need to bother making an effort to leave the present behind. 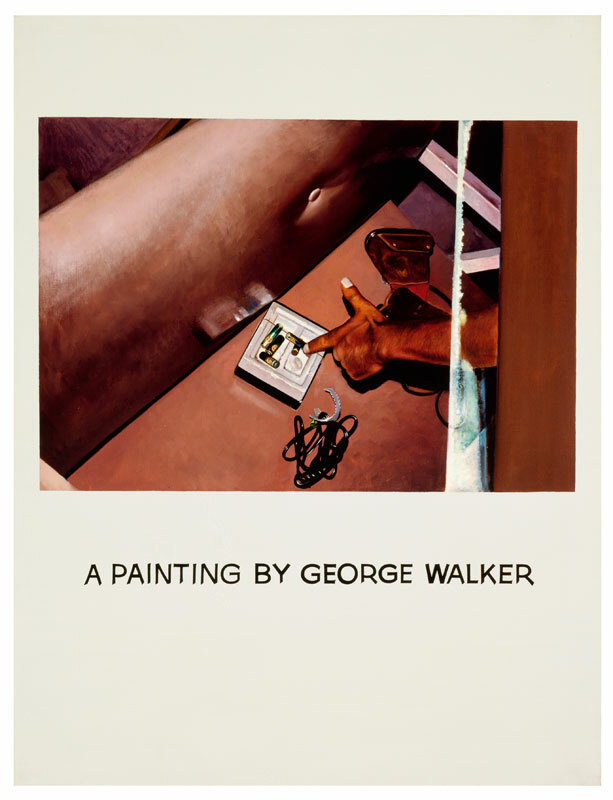 This gesture was well captured in John Baldessari’s Commissioned Paintings series from 1969. You just point at it and contemporary art, with all its hidden armies of cheap laborers, interns and assistants, will take care of it—it will happen without having to go any bit beyond the tip of your finger just pointing at it. Contemporary art makes us feel comfortable in failing, in not realizing what we propose, all because every proposal is always already realized before even having been attempted for realization. Sheung-Chuen’s proposal may not share this rather concealed complicity, but it only shies away from the bigger move at best. Still, his work marks a considerable distance from Baldessari’s Cremation Project, which has left uncompromising traces on the face of contemporary art all the way down to here and now. To Draw a Tree doesn’t rely on identifying the artist with his oeuvre and therefore doesn’t follow the rationale of reincarnation as was the basis of Baldessari’s more or less instant decision to launch a project that marked a fresh start, a stage in a cycle following which everything was once again totally possible. To Draw a Tree is not a radical regress to paramount potentiality itself nominated and reported as art—and this nomination and the subsequent reportage are of course what make Baldessari’s approach distinct from the modernist take on newness and its radical break from tradition. The prevalent tendency of contemporary art to constantly reinvent itself within the same vicious cycle that allows for the lining-up of anything followed by everything else is an extension of this nominating act of destruction. To Draw a Tree is more about delimiting the scope of possibilities. It sets out to fully acknowledge the gap that widens between a faraway life and its traveling double, and also limits this width from the very outset. What remains, above the future memory that was triggered, is an axiomatic model, a self-evident form that favors maintaining and regulating a network of inter-relationality spanned across the past all the way to the future more than its becoming in the present. Its precarious presence, a life lived in the breeze, is only formed via a responsibility already taken in the future to stand accountable for the past. Art FAQs (2007-2008) were a set of proposals that the Iranian artist, writer and architect Homayoun Askari Sirizi aimed at realizing at the now closed project space 13 Vanak Street, located at the edge of an extremely vast parcel of empty land on the northwestern corner of Vanak Square in Tehran. Concerned and frustrated with all shortcomings in engaging the public in socially conscious projects, he claimed his own answers, given on the occasion of short-lasting events, to what he allegedly posed as frequently asked, fundamental questions regarding art. No objects were to be produced, no documentation of the events was allowed, and nothing was to remain of the proposed solutions; fundamental problems were to live on unresolved—as if the artist just wanted to fail better in engaging the public, and this was also evident from his utterly disconcerting responses. The artist made plans for a total of seven events, of which only one, Art FAQ #1, actually took place and another, Art FAQ #4, was rehearsed—and failed. Art FAQ #1 was subtitled “Who is an artist? What is an artwork? How far can an artwork reach?” On the day of the event, visitors found nothing but other visitors hanging around in the completely empty space and on the sidewalk, in front of the large street-facing window, looking into the tiny room. Most of them were covering their noses and mouths with hands as a terribly strong smell of urine was everywhere in the air, pushing out from the space and totally noticeable even on the sidewalk. Inside, some pale yellow paint was splashed on the walls here and there. It was actually a solution of yellow pigment in ammonium hydroxide. A small text was all that could be found in the window display. It read “Mammals are among territorial animals; they mark their territories by dripping blood, spraying urine and dumping feces.” It continued “Humans are mammals too.” During the whole time of the event, the artist sat hidden behind a wall partition at the back end of the room. For Art FAQ #4, subtitled “Where did all problems come from? (Probably out of a hole?! ),” the artist had the idea of trying to let as little light as possible into the space and make a tiny hole into the southern wall so that, by turning the whole room into a camera obscura, an overturned image of the immediately neighboring vast empty land would appear on the facing wall inside the space. The door was to be kept closed during the event, and it was not easy to look through the window as it was to be covered almost completely. Visitors had to approach the room from the other side and try to look through the hole that was made into the wall to see the inside. Again, as if practicing failure, visitors were to block all the light that the space of art needed to represent, albeit disorientedly, its larger outside. But the idea failed even earlier when it was put into test: The wall that was to be pierced happened to be too thick for a fine, straight hole to be made into it. The artist failed in representing the outside world before his audience would fail in seeing it. I imagine myself standing inside 13 Vanak Street, looking out through the hole Homayoun had made in the wall. What would the view be like from within a black hole? I imagine there being no obstacles, no billboards, no utility poles, no pop-up stands, no traffic signs and even no trees disturbing my sight line or, alternatively, I imagine my line-of-sight curving and twisting and rounding all those things. Then I would be able to see the mural on the southeastern corner of Vanak Square. Painted on one of Tehran’s typical huge blank city walls, it is of the same kind of trompe l’oeils that have proliferated all around the city in the past few years. The content of the image seems congruent with dominantly omnipresent constructions of subjectivity and ideologies of spatial division: The fantastic image of rural innocence, loaded with a promise of escapism, is de facto accentuated against the dark realities of an evil town; The privatized female subject has been just allowed up to the limits of her domestic universe and all that only due to an appointed household task; Male subjects, carrying live symbols of a reproductive lifestyle on their shoulders, seem to have easily passed through the city, the public domain, and are now headed for the countryside. However, men are not given a face. Although I see them, we are not intervisible—they are walking their walks with their backs facing me. They don’t seem to be aware of me looking at them. My oblique (quer) sight line can assist me round their bodies, see their looks and read their lips. An imaginary leap has set me on this perceptive engagement with the surrounding, where my sight, and consequently all my other senses, would passionately drift away from the straight line. Each of the two men and each of the two little boys they carry on their shoulders transmute into one alternative subject who has four arms and no face. Together, they form one couple, two lovers, who might be forced to make public appearance with a pair of their arms holding to the rules of normativity, but somehow manage to reach hands, their other hands, to one another and perform alternative affections that go against the dominance of constructs. A concentrated but diverse public of queer men in Tehran is to be found nowhere better than on the screens of their cell phones. The virtual communities that are built up by location-sensitive applications like Grindr, dwell on a gridded surface that runs across an actual geography that has no actually acknowledged consciousness of those communities. A graph of the network that those who appear on Grindr create suggests another subjective topography of Tehran. However, having the strict social and political climate of this specific context in mind, it is clearly an absurd attempt to make either the virtual topography or the actual geography come out as identical to the other, or to merely consider such bifurcation as what provides functional plausibility. These pocket-sized cartographic technologies of subjectification should help refigure potential perceptive engagements with the folds of a lived topography. Literally a freestanding signature on its own, the four-letter word EXIT, hastily but most legibly written in uppercase, has been rapidly and increasingly appearing on numerous spots around Tehran during the past two years. Street walls, trash cans, bus stops, roller shutters and traffic signs have all had their moments of encounter with EXIT. This by itself does not introduce novelty to the spectrum of sites from which graffiti artists can choose for their work. Even the word itself is a highly familiar and frequently utilized sign in an urban context. But the bare wit of these four letters superimposed on top of those same old places, together with them still incredibly mushrooming across most distant areas—despite being painted out almost routinely—have brought them a silently phenomenal presence in Tehran. A mask for an invisible agent, EXIT invites the passerby, unexpectedly and out of blue, to a parody of escapism, one that proposes a perceptive engagement that is in complete opposition to what the word, by definition, reads. EXIT is a project of reflective reterritorialization. Far from being concerned with an attempt of withdrawal, EXIT transforms the surfaces it is tagged upon to reflective screens that, instead of opening up to somewhere else, redirect the suddenly engaged passerby toward their own gaze, location and state of being. In other words, by diffusely signifying a way to the outside, EXIT has actually set, and is setting, provisional borders at the verge of an expanding territory with no clear shape—a territory marked off by the artist, similar to how animals create sign-posts to retain their demarcated territories. This is a cartographical practice as an ongoing performance. Minding this fluid territory, it is easy to understand that anyone faced with EXIT takes a position previously took by the artist and is consequently placed on the inside. Therefore, by rendering any position “before,” “outside,” or “beyond” this perceptive territory redundant, EXIT is symbolically disrupting the bipolar exchange between the inside and the outside and is giving way to an expression of a discursive situation where the way out is virtually another way in. In August 1973, during a conference at Stanford University, the mathematician Victor Klee extemporaneously responded to a request for an interesting geometric problem made by his younger peer Václav (Vašek) Chvátal. What Klee posed has since come to be widely known as the Art Gallery Problem or, alternatively called, the Watchmen Problem—an inspiring challenge in the field of computational geometry. It asks to find the number of guards who can survey 360˚ about their fixed positions and are together occasionally necessary and always sufficient to observe the whole interior of an art gallery. For a polygonal gallery with n vertices, Chvátal soon established an upper bound of [n/3] on the minimal number of guards. The inductive proof of Chvátal’s original Art Gallery Theorem accounts for simple polygons, flat shapes with straight, non-intersecting sides that form a closed boundary separating the plane into two distinct regions: the interior and the exterior of the polygon. If the function g(n) represents the maximum of guards that are ever needed for covering a gallery with n vertices, it is often easy to establish a lower bound, that is g(n) ≥ [n/3], through generic shapes that settle the necessity of this particular formula. However, the categorical specification of simple polygons still bears particular challenges when attempting to establish sufficiency, as this needs an argument that holds for all polygons.